I think in really going to like this item, but I think it runs really small. I would order size up. I bought this product for my mom who also told me that her lumbar discomfort, my friend recommended it to me. After using it, my mother said she felt comfortable which make me fell very pleased. Highly recommend! This seems to really help "keep things in". It's hard to say if out runs small since I just had a baby things are a little swollen still but I ordered a size larger than I normally willing have & it worked. They are thick but you want it to cover most of your belly so sitting with it tight isn't very comfortable. I mostly wear mine around the house for a few hours at a time. I love the corset! It fit perfectly and it’s not uncomfortable. Sometime I forget that I have it on! The material is breathable and it gives great support!!!! The postpartum belt can be made to fit as tight as you would like it to fit. I found that when I didn't ensure a snug fit, it would ride up. Other than that, it works great as a post abdominal binder. Does help shrink stomach after child birth. Runs small. Good postpartum wrap. I wish I got this earlier so I can wear it right after I deliver. The wrap is pretty comfortable, the material is soft, not like the other ones hard as rock. And it has two support bars in the back, the Velcro is very strong too, it holds super well and tight, you can feel the support, tightness but comfortable while wearing it. It is so nice.And it is a little bit tight.But it need tight.I feel very flexible when I wear it.Good and love.Fit as expected. Very helpful for posture and lower back doscomfort. And it definitely is helping with the postpartum recovery. All of my tummy belts/waist trainers and trimmers never supported me or helped minimize my diastisis recti but this by far is the best one out there. You get upper and lower support, it's easy on your back because you don't have those bones poking you and it's great for posture. 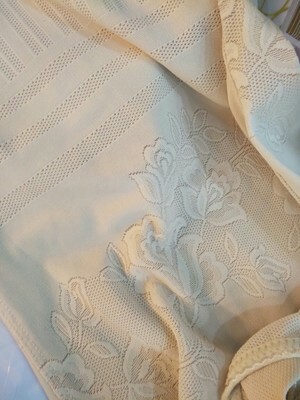 The fabric is so light and I love it. I am so happy and feeling super confident in my clothes today.